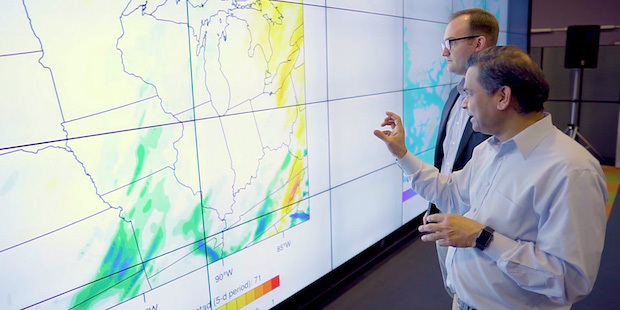 AT&T leverages Argonne's climate modeling and infrastructure resilience expertise to benefit Southeastern U.S.
With the help of ALCF computing resources, AT&T partnered with Argonne National Laboratory to pinpoint extreme weather risks. 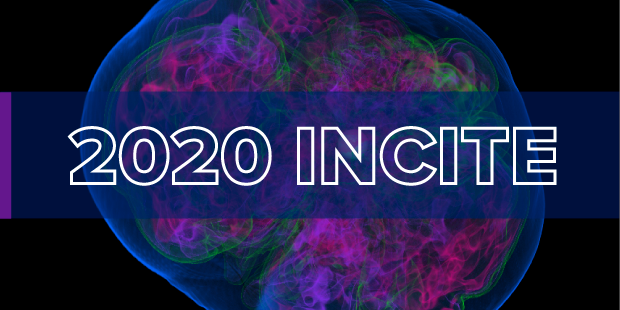 From April 15 to June 21, 2019, the INCITE call for proposals provides an opportunity for researchers to gain access to ALCF and OLCF supercomputers to pursue breakthroughs in science and technology. 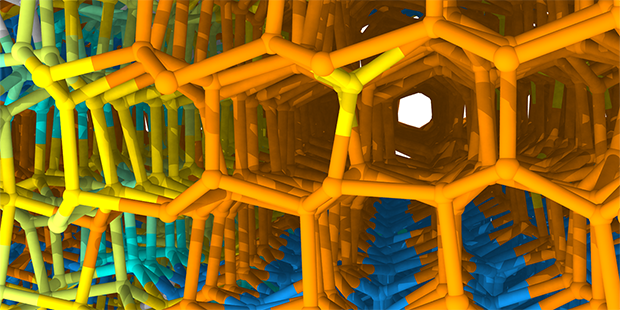 With help from ALCF computing resources, Argonne researchers used machine learning to develop a new molecular water model that accurately represents the thermodynamic properties of water. 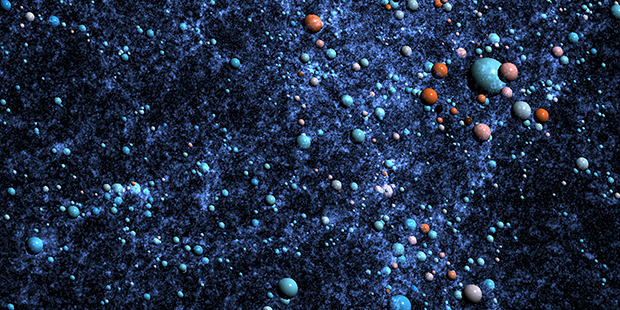 To prepare for the Large Synoptic Survey Telescope, a team of researchers is using ALCF computing resources to create a synthetic galaxy catalog that will be compared with observations to further our understanding of the universe. 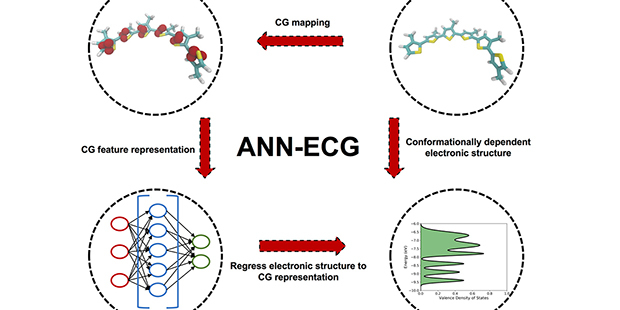 A team of researchers from Argonne and the University of Chicago used machine learning to create molecular models that dramatically accelerate the screening of potential new organic materials for electronics. ALCF Director of Science Katherine Riley discusses the value of supercomputing in a recent episode of the YouTube science series, The Good Stuff.